I co-hosted this month’s #okscbwichat on Tuesday evening with our Special Guest, YA author Brenda Drake. Brenda Drake, the youngest of three children, grew up an Air Force brat and the continual new kid at school until her family settled in Albuquerque, New Mexico. Brenda’s fondest memories growing up are of her eccentric, Irish grandmother’s animated tales, which gave her a strong love for storytelling. So it was only fitting that she would choose to write young adult and middle grade novels with a bend toward the fantastical. When Brenda’s not writing or doing the social media thing, she’s haunting libraries, bookstores, and coffee shops or reading someplace quiet and not at all exotic (much to her disappointment). Brenda is the host of the ever-popular Pitch Wars, Pitch Madness, and the Twitter pitch of all pitches, #pitmad. Brenda will be discussing what it’s like to host these mind-boggling contests, and how in the world she still makes time to write! Her debut novel, THIEF OF LIES: A Library Jumpers Novel, experienced a very successful release this month. Follow Brenda on Twitter here. During our Twitter chat, Brenda talked briefly of her own perilous journey to publication before we got into the topic for the evening, online writing contests like Pitch Wars and #pitmad. Brenda discussed the ins and outs of running Pitch Wars, and how it all got started. She explained the mentoring process for those who make it into the contest, and talked about why it is so beneficial for a writer to consider being a part of Pitch Wars in the first place. As an added bonus, Brenda’s right-hand helper, Heather Cashman, joined in the conversation. The chat was an outstanding success and extremely informative. If you’ve ever considered entering a contest like this, you really should look into Pitch Wars. The next installment starts soon! *If you missed the chat, you can view the Storify version of the entire conversation here. **Next month, we have our first topic #okscbwichat, Support Through Social Media! This will follow a special SCBWI MEMBERS ONLY event planned on Saturday, August 20th, right before our regular #okscbwichat. We will be hosting a Social Media Hangout in both Tulsa and Oklahoma City where we will be sharing ideas on how we can better support our fellow members by using social media – from pre-ordering books to posting reviews to using Goodreads effectively. The Twitter chat on August 23rd will complement this event. We will share ideas we learned at the Hangout during the chat. 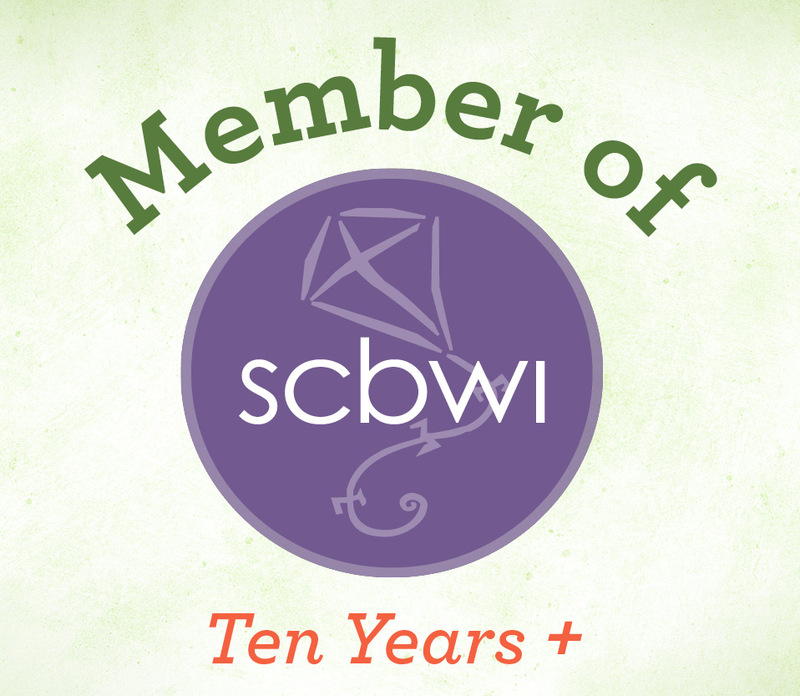 For more information, check our calendar of events on the SCBWI OK website. See you for the next Twitter chat on Tuesday, August 23rd! To see a full list of our upcoming Twitter chats on #okscbwichat for 2016 CLICK HERE. It’s been awhile since I’ve done a Flash Fiction Prompt, and now felt like the right time to get back to it, especially since I need to come up with a fantastic idea for our TGNA Fall Frivolity anthology. Write a story inspired by this image in 1000 words or less. If you’d like to share your story, email it to me at valerierlawson@gmail.com. Put Flash Fiction Prompt in the subject line. I’ll share my story next month. (This may or may not be the story I include in our TGNA anthology. It’ll be a surprise.) I may post yours here, too. If I have enough people participate, I’ll post the best one on the blog! If you are interested in entering a submission for our anthology, you can view more writing prompt ideas on our TGNA group Pinterest page. You can also view the submission guidelines on our blog. I look forward to reading your submissions! After a nice long break from participating in the The Great Noveling Adventure blog, I’ve decided to join the group again. I just missed it too much. I’ll only be posting once a month, which will be much easier on me and will allow me to pursue my other goals without becoming a burden. Today is my day for July, and I’m posting a book review of that fantastic Middle Grade novel GEORGE by Alex Gino. Hello Adventurers! It’s wonderful to be back after a much needed break. I’ve kept busy on my own blog and have managed to do a fair amount of reading while I’ve been away. One of my favorite reads so far this year has been this slim, unassuming book with the simple design that packs quite an emotional punch. Leave it to a Middle Grade author to tackle such a huge topic like transgender and to get it so right. This is an important book that needs to be shared – with young and old alike. We are also putting together TGNA’s second anthology, FALL FRIVOLITY, and you can be a part of it! To be considered, simply submit a short story of 1000 words or less with a fall theme to tgnasubmissions@gmail.com. We’re accepting submissions through August 1st. For full submissions guidelines, click here! Now as far as how I’m doing with reaching the goals for the reading challenges, let’s take a closer look. This is the first book in a series by the wonderful and charming Brenda Drake, the YA author behind the Pitch Wars phenomenon. I loved the premise and the feisty female lead character. Drake does an excellent job with world-building and her fast-paced story has you racing to the end. Learn more about Brenda Drake here. Follow Brenda on Facebook here. By the way, if you like Twitter chats, Brenda will be our special guest this month on #okscbwichat. Join us on Tuesday, July 26th from 7-8pm CST. 2016 Book Riot Read Harder Challenge – I made a lot more headway on this challenge – almost halfway done, but not quite. I can’t count how many people recommended this book to me. Everyone who read it was moved in a profound way. Obviously I signed up to read it. Powerful doesn’t begin to describe this story. Coates puts you immediately in the conversation and lets you explore the fear and worry and anger and enlightenment from the point of view of a parent teaching a son how to come to terms with the same. A must-read book for sure. Learn more about Ta-Nehisi Coates here. Follow Ta-Nehisi on Twitter here. Although this book could also qualify as my selection for someone who identifies as transgender, I have another title I want to read for that. And I had heard so many positive reviews of this book, I had to read it. This book may be little, but it is mighty. I cried so hard at the end and hugged it close to my heart. What an important book to add to the world and to put out there for MG readers. Fantastic story that needs to be read. When people look at George, they see a boy. But George knows she’s a girl. With the help of her best friend Kelly, George comes up with a plan. Not just so she can be Charlotte – but so everyone can know who she is, once and for all. Learn more about Alex Gino here. Follow Alex on Twitter here. Follow Alex on Facebook here. I could have picked any number of books for this challenge as I read out loud to my son quite often, but this is one of his favorites, as evidenced by the worn cover and the pages falling out near the back. David Wiesner is a master of the picture book, with sparse words and fantastical artwork that allows for an exploration into one’s own imagination to fill in the story. My son also loves his book, TUESDAY, which is almost wordless and completely magical. Learn more about David Wiesner here. What books have taken you out of your normal reading pattern this year? Bookish Cassie’s Reading Bingo Challenge – I did much better on this challenge and actually got my first bingo – woohoo! Of course I’m going for the full blackout. Cassie is the dynamic gal with a head of fantastic curls, always at the ready with great book recommendations. She writes the glorious blog Books and Bowel Movements that I just love. Cassie is doing this reading challenge on her Instagram account, which makes it fun and really easy. If you’re on Instagram, feel free to join in with the hashtag #readingbingo2016. It’s that simple. You can find me on Instagram at litbeing. You can find Cassie there at bookishcassie. As a serious fan of all things Shadowhunter, I couldn’t resist getting to know one of my favorite characters in the series. I enjoyed the behind-the-scenes peek at the life of Magnus Bane and the illustrations – I only wish there had more more! The tales answered some questions and raised some others. The only drawback is now I feel compelled to reread the entire series of books. What’s a booklover to do? Learn more about Cassandra Clare here. Follow Cassandra on Twitter here. Follow her on Tumblr here. London couldn’t be any more opposite from my hometown in rural Oklahoma, so this is a perfect match for this challenge selection. There’s nothing like a hard-boiled mystery novel, is there? I really enjoy reading these books by Rowling, er, Galbraith. Just a fun read. I know, I know, murder and mayhem, fun? I may be a little weird. Either way, I read through this book in a flash to find out whodunit. When a mysterious package is delivered to Robin Ellacott, she is horrified to discover that it contains a woman’s severed leg. Her boss, private detective Cormoran Strike, is less surprised but no less alarmed. There are four people from his past who he thinks could be responsible- and Strike knows that any one of them is capable of sustained and unspeakable brutality. Learn more about Robert Galbraith here. Follow Robert on Twitter here. Follow Robert on Facebook here. I think this book could fit in many categories, but I love talking about it everywhere I go, and encouraging everyone I know to read it, so I think it fits well here. So much buzz about this book as THE book to read this year brought this title to my attention. And now I know why. Such an important topic and so well handled by these two incredibly talented authors. Bravo! Critically acclaimed authors Jason Reynolds and Brendan Kiely have joined forces to write an explosive new novel, ALL AMERICAN BOYS, inspired by recent controversial events and the national firestorm over police brutality. Rashad Butler and Quinn Collins are two young men, one black and one white, whose lives are forever changed by an act of extreme police brutality. Rashad wakes up in a hospital. Quinn saw how he got there. And so did the video camera that taped the cop beating Rashad senseless into the pavement. Thus begins ALL AMERICAN BOYS, written in tandem by two of our great literary talents, Jason Reynolds and Brendan Kiely. The story is told in Rashad and Quinn’s alternating perspectives, as they grapple with the complications that spin out of this violent moment and reverberate in their families, school, and town. Over the course of one week, Rashad tries to find the strength to accept his role as the symbolic figure of the community’s response to police brutality, and Quinn tries to decide where he belongs in a town bitterly divided by racial tension. Ultimately, the two narratives weave back together, in the moment in which the two boys, now changed, can actually see each other—the first step for healing and understanding in a country still deeply sick with racial injustice. Reynolds pens the voice of Rashad, and Kiely has taken the voice of Quinn. Learn more about Jason Reynolds here. Follow Jason on Twitter here. Follow Jason on Tumblr here. Follow Jason on Instagram here. Learn more about Brendan Kiely here. Follow Brendan on Twitter here. Follow Brendan on Facebook here. As this book was a re-read for my Relaxed and Groovy Book Club, it was definitely already on my shelf. I’ve talked about this book ad nauseum on this blog, because it is one of my all-time favorites so I’ll spare you the details, unless you’re truly interested. The way Sáenz paints with language gets me every time. He uses evocative language so well to hit right to the heart of the emotional moment of every scene. And his characters Ari and Dante are just the greatest. I loved this book even more the second time around. Find the full discussion here. Learn more about Benjamin Alire Saenz here and here. Follow Benjamin on Twitter here.